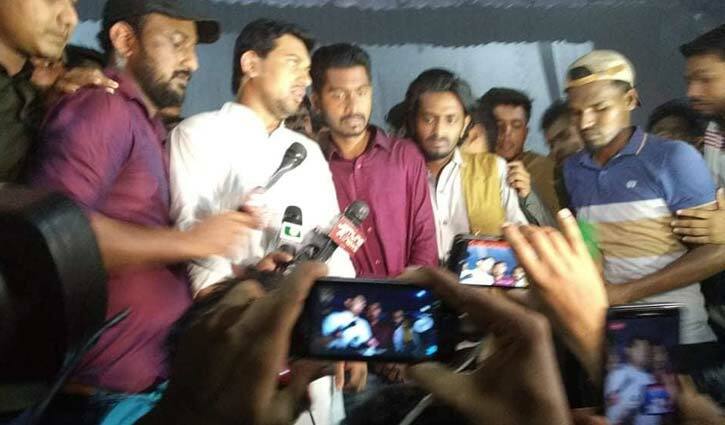 Staff Correspondent: Bangladesh Chhatra League (BCL) has welcomed newly elected Vice-President (VP) Nurul Haque Nur, after accepting the results of the Dhaka University Central Students' Union (Ducsu) election. BCL central president Rezwanul Haque Chowdhury Shovon, who was a VP president in the polls, met Nur at TSC auditorium at Tuesday afternoon and gave him assurance of all kinds of assistances. Though he (Shovon) earlier demanded fresh polls for VP post after he defeated, he accepted the results. New elected Ducsu VP, also a joint convener of Bangladesh Sadharan Chhatra Odhikar Sangrakkhan Parishad, Nurul Haque Nur has called off the programmes of boycotting classes and examinations. Nur came up with the declaration after BCL president Shovon met him to welcome as newly elected VP of Duscu.